Gordianus the Finder and his ailing wife Bethesda travel to Egypt - Bethesda's homeland - seeking a cure for her enduring, mysterious illness. They arrive as the Civil War between Caesar and Pompey is reaching its conclusion on its shores. 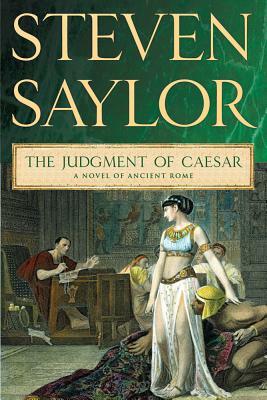 Captured by Pompey, but rescued by Ptolemy's men who kill Pompey for Caesar, Gordianus is caught in the middle of the struggle between Ptolemy and his sister Cleopatra, Caesar's seduction by Cleopatra, and the dying days of the Roman Republic. When his wife disappears into the Nile, never to resurface, Gordianus must uncover the truth behind a series of mysterious occurrences if he is to find out what has happened to his wife, now presumed dead.